I’ve written a lot about comments, how to handle them, respond to them, and some guidelines for posting comments. One aspect of comments rarely covered indepth is the issue of editing your comments. Not “your” comments left on other blogs, but the comments you receive on your blog. As a general rule, you can judge the quality of a magazine by reading the letters to the editor. The letters represent the target, responsive audience of the magazine and tell you a lot about the content within, don’t they? Magazine editors make sure that the comments reflect the policies and practices of the magazine’s content and purpose, as well as the demographics, so why should a blog be any different? Since the comments on your blog are associated with your blog, and a reflection of your writing and your blog, I think they should speak well of you and your readers. It is my policy to help commenters comment. It’s also my policy to help my readers read comments found on my blogs. Thus, some comments need editing so both parties are helped. While bloggers live for the thrill of comments, some comments are out of control, poorly written, not understandable, and just plain bad. But they still have value. So what do you do? As always, you have the right to delete any inappropriate comments on your blog. 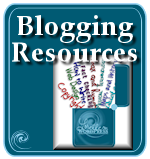 It’s your blog, you are in control and responsible for its content. This means you also have the right to edit the comments on your blog. What you edit in or out, or why you edit is up to you and your own comment policy. Let’s look at some examples of comments which may require editing. What they meant to say was “really appreciate your point of view” but their fingers shifted on the keyboard and they didn’t see it until after hitting the submit button. We all do this, but should I leave it there for everyone to see? Does this speak well of my reader? Does it really say what they wanted to say? This is a very important point when editing comments. Ask yourself does this really represent what they intended to say? If it does, leave it. If it doesn’t, or has a small mistake in spelling or keyboard misalignment, then help them by fixing it. The biggest problem posting code in a comment is that the web page tries to read it as code, not as text. Or it recognizes it as code, knows it will “hurt” the web page structure and programming, so the blogging program will strip out the code, leaving a mess of strange characters and words. To post code in a comment, the browser and blogging tool must think it is text. To post code in comments, change every < into &lt; so the blogging tool thinks it’s text. 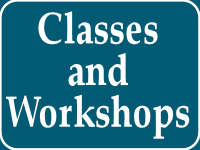 To do this online for free, you can use the WordPress Resources Encode Tool or other code converting programs. Then copy and paste the “text” version of the code and it will be displayed as code in the comment. DO NOT POST CODE IN COMMENTS LONGER THAN 8 LINES!!! Post ONLY the part of the code that applies to your issue. If it is longer than eight lines, then post it on your own blog or in a pastebin such as Pastebin.com or http://paste.uni.cc and include a link to the code in the comment. Many people hit the submit button and realize that this is not what they really wanted to say, or they realized they made a huge mistake, either in word choices, spelling, or using a code that didn’t make it through the filtering and posting process. So they will post another comment to try to fix the first comment. I’ll fix the error for them by editing the first comment, and then delete their “please fix the first comment” comment. Why clutter things up since the task is done? Posting code is one of the biggest problems commenters have on technical blogs. Unless they really know what they are doing, it is often a mess, so they keep posting until they get it right. I’ve had 6 comments in a row as people struggle with posting code in a comment. Makes a mess of the comments. It also doesn’t help the readers. Reading comment after comment of borked code and requests to fix things wastes everyone’s time. Fix the comment and then delete their request. By fixing the comment, you are acknowledging their request, so don’t post another comment telling them you fixed it, and if a blogger fixes your request to fix your comment, don’t say thanks. Just accept it and keep the focus of the comments on the topic, not the mutual love and admiration blogging society. Helping your readers comment is part of the job as a blog administrator. How far you go is up to you, but I believe that if they work so hard to try to get it right, you should help them make it right. Then clean up the mess they made on your comments. Trackbacks are comments other bloggers make on their blogs about a post you wrote that sends a signal to your blog, along with 20-100 words around the link to your post, which appears in your comments or trackbacks list. Trackbacks are like mini letters of recommendation or a way of tracking who is saying what about what you wrote. For the most part, trackbacks work well because people tend to write what they want to say about your blog post near the link to your post. 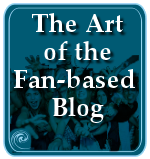 Other times, what arrives on your blog posts says nothing about your blog, or nothing that makes much sense at all. I’ve had trackbacks come in with some gibberish, and others with words totally off topic. To check these out, I visit the trackbacking post to see what they actually wrote. If it is totally off topic, and the link to my post is inappropriate or it’s a splog, I will delete the trackback. That’s rare. What I usually find is that they linked to my site at the beginning of the article and then talked about my article further down in their post, too far for the trackback to include their more appropriate comments. If you read a trackback that sounds like the blogger is adding to the conversation on the original post, don’t you want to read what they had to say? That’s a potential new visitor you are sending their way, so you want to make their trackback help them, your way of saying thank you back for the incoming link. It’s my rule to help commenters comment and readers read, so I also want to help trackbackers track back to their blogs as well as mine. I search through the trackbacker’s post to find more relevant comments about my post and copy and paste that into the trackback comment on my blog. I may leave the first part of the trackback and add ellipsis […] and then paste the more appropriate context into the comment before the last […] to connect the pieces, or just remove the trackbacking text and replace it with the more appropriate content. Just like with comments, some trackbacks may come with misspellings and tiny mistakes. Sometimes these are fixed later by the blogger, but they remain on your site with the errors. It’s up to you to fix them, but remember that trackbacks often carry a little more weight than a normal comment, as they are breadcrumbs to bloggers blogging about you, so make sure they make a good impression on your blog. If you have a great site or information to recommend to myself and others, do so in your comments. You notice I said “a” site. Not ten, twenty, or 100 sites. Unless I ask specifically, don’t put in dozens of links. 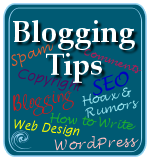 Depending upon the blog’s settings, any comment with more than two to four links will be automatically moderated or treated like comment spam. If you want your comment to show, and not inconvenience the blog’s owner, then keep your links to no more than two as a rule. 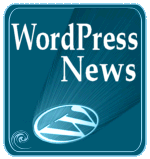 When posting links, don’t put in the straight URL unless it is really short like http://wordpress.com. If it is long and stretches across the screen, you screw up the web page design. And it just looks ugly. If you post a long or ugly URL in my comments, I will edit it and put it into text, especially if you mess up the web page design I worked so hard on. For blogs which do not permit HTML of any form in their comments, these blog owners have a lot of work to change long ugly links into HTML anchors if they want their comments to look nice. The inability to use HTML in comments makes your comments look terrible, it’s a useless technique to stop comment spam, and it’s just another way of making it harder for people to leave comments on your blogs. Comments are part of the design and layout, so they should blend in with the overall look. Personally, I prefer my links represented as text rather than the whole link. Lorelle on WordPress is pretty and helpful. The URL https://lorelle.wordpress.com works, but it just isn’t pretty. Nor is it helpful. Text provides information to what the link is about while the link is just a bunch of letters and number that might not make a lot of sense. One of the reasons you might consider editing a comment is to move the comment to a more appropriate place. However, this is an edit that needs to be well thought through. To return and find the comment missing, especially when they need an answer, is just bad form. When the commenter returns, they need to follow a path of breadcrumbs to find their comment, as do others who may want to track the answer. In order to move a comment, you must copy and paste the information, including the commenter’s name, email, and URL into a new comment on your blog under the appropriate topic, and then put in a link to that new comment’s location. BUT, programs like WordPress know it’s really “you” leaving the comment so they may not accept the comment or will automatically fill in your name and contact information information whether you want it or not. 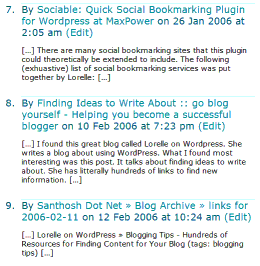 Many blogging tools hang onto information on “who you are” so the program recognizes you next time you visit, stored in a cookie on your computer. This makes moving comments around a bit challenging. Copy the information from the comment and paste it into a text editor program, including the name, email, and URL. Log out from your blog so you are no longer the “administrator”, just a typical visitor. Switch to the post that best suits the comment. Copy and paste the information from the text editor into a new comment and submit it. If the name and contact information was changed during submission, login to your blog and edit the comment to correct the information in the comment. Find the link to the new comment and copy it. On WordPress blogs, the link to the comment is usually found in the date or timestamp or in a link called “permalink” or “comment permalink”. Return to the original comment and edit it with the link to the comment as a breadcrumb to the new location. to help you get the answer you need. If you want to say more, then do so in the comment or in your response to the comment. Personally, I avoid moving comments but rather respond to them with a link to the appropriate article or post. Then I may post a comment on the target post that asks and answers the question so everyone can keep up with what is going on, if the post alone doesn’t answer the question. Today’s blog comments feature a fairly consistent form. You fill in your name or blog name, email, and website address and then type in your comment. When it appears on the blog, your email should be hidden, but your name becomes a link to the website address you just gave. And most say “Lorelle says:” or “Comment by” and then your comment appears. So don’t sign your name and include a link to your blog in your comments. It’s redundant. It makes you look like you don’t know what you are doing. A comment isn’t a letter. I’ll say it again, just so we’re clear about this: A comment is not a letter. A blog comment does not start with “Dear Lorelle” and end with “Yours sincerely” and name, address, email, phone number, or website address. These types of comments are usually left by people with little or no experience with blogs, blogging, or commenting. So I feel it is my responsibility to help them protect themselves. If they return and find the information missing, they can ask me why, and I’ll tell them, and hopefully, they will learn from the process. If you post private or personal information that I believe to put you or me at risk, I will edit it out. I consider this part of my job to protect you. You mean that much to me. My sites attract readers and commenters from all over the world. It’s wonderful, and yet, it has its challenges. I’m used to talking and listening to people to whom English is not a first, second, or even fourteenth language. Having lived overseas for long periods of time, I’ve massacred more than my share of languages in my travels, so I’m grateful for those who correct me or just tolerate my language abuse. When I get a comment from someone struggling with English, I will do one of two things. Either I will edit their comment and fix it so it makes more sense, or I will respond to the comment with a “re-write” of the comment or question so others will understand, and the commenter can respond and clarify my interpretation. In many languages, the difference between a “good word” and a “bad word” is one or two letters. I had one non-English speaker ask me some questions about stylesheets, spelled “styleshits”. Phonetic spelling can be painful. So I fixed it, understanding what he was trying to say. I sure hope that my attempts to comment in another language won’t include a similar screw up, and if it does, they will fix it for me and honor my attempts to at least try to communicate in their language. Until better language translation tools are available, we are limited by our feeble attempts. So honor the attempt and help the commenter be better understood. Got a rant? Got a rage? Want to argue a point or run off at the mouth? Then write it on your own blog and include a trackback to mine. Or post a comment that says “I wrote a post about my opinion on this subject…” and include the link. Don’t abuse comments as a replacement for blogs. A small post I wrote a few months ago on Taking Your Camera on the Road about airlines penalizing overweight airline passengers attracted a lot of attention, including rants and rages about skinny and overweight people feeling the pinch of uncomfortable seats as well as ticket prices. Some of these rants and rages contained way too much information, including graphic details and personal information about problems on recent flights with this issue. Official complaints need to be made directly to official sources, in this case, the airlines. 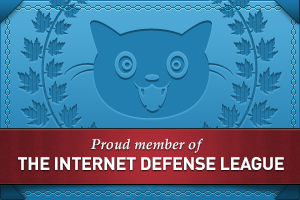 I will not forward your issues or concerns, and they aren’t monitoring my site to see what you have to say. You are only venting. Venting I will permit, because I asked, but there are limits to that venting on that specific site. I have set limits to determine when a comment is a comment and when a comment is a blog post. Commenting allowed, diatribes belong elsewhere. It’s my blog. I’m responsible for what goes on it. Run off at the mouth rehashing the same subject more than twice, and I might edit your comment to save comment space. After making a lot of edits, or removing a lot of content, I will insert a note inside of the comment that says [Edited for Privacy Protection], [Edited Offensive Language], or simply [Edited], letting the commenter know that I edited their comment. Rarely do I leave an explanation. People usually know when they crossed the line. This sounds harsh, but when you check in to see if there are any comments this month and find a 3 page hysterical rant, alarm bells should go off and the editor in you should come out. How much you allow commenters to blog on your blog is up to you. It’s not about how long a comment is, but rather the content of the comment. You draw the line on how much is too much. If you really want vent, get your own blog. Consider mine inspiration. The concept of “offensive language” is honestly a tough one to define. While your concept of “offensive” might include swear words, to others, swear words are part of their day-to-day vocabulary. Everyone has to have their own comment policy when it comes to offensive language or content. It’s my general policy to keep it clean. I run “family” blogs, so I’m always watching out for my readers to keep their vulnerable and sensitive senses from harm. If you use a swear word in a sentence appropriately, then I will probably ignore it. But if it is inappropriate or unnecessary, I’ll edit it out. That’s my comment policy. What you do is up to you and your blog’s content and style. It boils down to appropriateness. If the comment’s content and intent is to continue the conversation without being mean spirited or vile, then consider leaving it alone, but if it is inappropriate, vile, mean spirited, or just offensive, whatever your definition of that is, then edit it or delete it. Realize that the quality and content of comments is a reflection of the blog’s content. Cuss and swear and write with inappropriate expressions, and you will attract like comments. Write with care and you will attract careful and considerate comments. Your content is a magnet, so make sure it’s attracting the right comments. If you are nervous about editing comments, create a strong comment policy so everyone knows where you stand on what is inappropriate and what is appropriate in a comment on your blog. Keep your editing consistent and fair and your readers and commenters will respect your policy. Is it censorship to remove a totally prejudicial and bigoted comment on your blog? Maybe. It’s up to you. It’s your blog. Your responsibility. Whether or not I agree with it, you still have the right of refusal and deletion or editing. I think of editing or deleting prejudicial and bigoted comments as a blog’s “Right to Refuse Service”. Making a decision about deleting or editing prejudicial and bigoted comments is your decision, and that decision is based upon your personal beliefs and your blog content. If you invite such comments, welcome them. If you don’t, what you do with them is up to you. I have no problem putting a comment into moderation while I debate about it. I believe that everyone has a right to their opinion. I also believe that not every opinion is appropriate for this blog. I take time to carefully reexamine my post content to see if I invited the comment. Even if the comment opposes my beliefs and values, but is related directly to the content, then I’ll leave it. If it makes a good point, I might edit out the nasty parts, leaving the value. It depends, but I think about it and weigh my options, taking into account the intent of the commenter. If it is to inflame, then it’s gone. If it is off topic, it’s gone. If it is spiteful, it’s gone. If it is harmful to others, it’s gone. If it continues the conversation, then it may stay. This is a gray area for a lot of people. Freedom of speech and censorship is something Americans are really proud of, but they don’t realize that even in today’s world, freedom of speech is impinged constantly and legally. 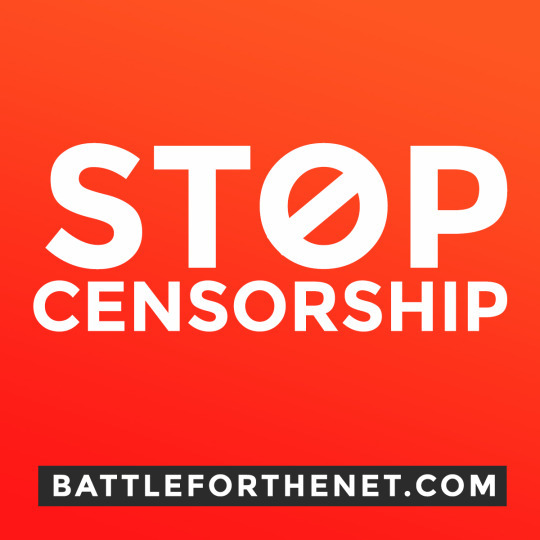 Censorship and control of speech is everywhere, especially in the past five years. 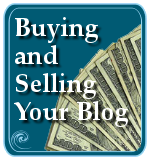 What you do on your blog is up to you. I highly recommend, though, you make your policy on comments very clear and public so everyone knows where you stand and what you will do. Recently, I wrote “How Not to Comment on Comments”, explaining how comments are mini-resumes, representatives of you floating around on the web. I really believe that a comment speaks very loudly about its owner, and their opinion. Honestly, if I don’t agree with a commenter’s opinion, and they wrote their comment very poorly, I will leave it. This doesn’t mean I delete every comment that doesn’t agree with me. I don’t. But I won’t “fix” comments which are poorly written and I don’t like. Comments do speak loudly of their owners. If you make a valid point, whether I agree or not, and it’s well written, then it will stay. If it is well written, but needs a minor tweak, I’ll fix it. But if it is written badly, while still making a good point, though an ignorant or narrow-minded point, I tend to let it sit there, unfixed, for the world to see and judge you by how you say what you say. I’ve been working on this article for a couple months. I’m taking a huge risk writing about something we all do, but don’t talk about. By giving you guidelines on how to edit comments, I’m not endorsing censorship. I’m encouraging careful consideration on how to help you help your commenters and readers by editing comments. It’s your blog. If the comment sits there, you are lending your approval of the comment. It’s your right, so make it matter. Am I wrong in doing this? It’s debatable, but it’s done. I’m not alone. You’ve probably done the same thing, you just don’t talk about it. Editing comments on your blog is your option and choice. It’s my way of saying you have the right to freedom of expression, so make that expression count. If freedom of expression is so important to us, why don’t we treat it with respect and express ourselves better? Editing comments is about helping your reader’s communicate with you and each other. The comments they leave behind represent you and your readers, just as the letter to the editors in magazines represents the magazine’s readership and demographics. Let them speak well of you. Remember, you are the publisher and editor of your blog. If that means you have to do a little edit here and there, then edit. Editors on magazines do. Newspapers do. Bloggers should. 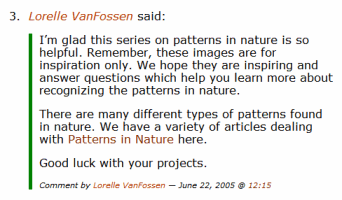 This entry was written by Lorelle VanFossen and posted on September 18, 2006 at 3:44 am and filed under blogging tips, Web Wise, Writing. Bookmark the permalink. Follow any comments here with the RSS feed for this post. Post a comment or leave a trackback: Trackback URL. I can’t help but think this article was written for me because so many issues I’ve been kicking around in the back of my mind were dealt with it in it. I’ve been particularly concerned about the protocol of editing parts of the comments I receive and you set out some very clear bench marks for me. I have also cringed after I’ve hit the submit button and groaned when I saw grammatical and spelling errors that were due either my vision impairment or to awkward keyboarding but surprisingly my follow-up comments requesting editing were ignored by the blogger’s receiving them. This is not to mention the times I have inadvertently (due to a tremor) clicked the submit button twice which resulted duplicate comments. Once again I have noted that some bloggers perversely refuse to delete these duplications. Suffice to say that kind of a response did not encourage me to leave a comment again. Thanks for all the good advice on commenting I will be putting it to use. Thanks for these thoughts, Lorelle. I think you’re right to see editing a comment that’s difficult to follow because of an important typo or a shift of the hands on the keyboard as a matter of helping out the commenter, the way you might brush a mosquito from someone’s shoulder if they happen to have their hands full. It’s a kindness and not at all presumptuous. One thing about your post really struck me. I sometimes begin my comments with the name of the person I’m addressing — and I often end with my name. Many comment forms don’t mimic a letter, with your signature at the end, and I do like finishing a comment with an expression of thanks, or good wishes. (But not my mailing address!) I think it makes the conversation more civilized and I do it for that reason, consciously. Your guidelines confirmed for me that I made the right decision in deleting a comment. Because my blog is so new, comments are few and far between, and I’m excited any time I get one. Several weeks ago, someone left a comment with a link to his blog about his paintings. The comment was “I’ve painted on ________, take a look!” The subject of one of his paintings was tangentially related to the topic of my post–but just barely. I looked around at the blog and while it was interesting in a “I’ve never seen anything like this” kind of way, it wasn’t something I would ever return to. I couldn’t decide whether to leave the comment or delete it, so I left if for a few days while I mulled it over. I finally decided to delete it because I felt it was more advertisement than comment. After deleting, I wondered if I had done the right thing–after all, a comment is a comment and shows that someone is reading my blog. But if I look at comments as letters to the editor, then I see that there was little pondering necessary in this case: the commenter was looking for a way to generate traffic with a comment that didn’t contribute to my blog, so out it goes. Thanks for helping me to refine my own thinking on comments. On censorship, I tend to be very very careful. I’ll only remove a comment if it’s extremely offensive or vulgar. It has to really offend me ( which is difficult, as I don’t offend easily at all ) for me to consider censorship. I definately promote the whole freedom of speech idea, so I tend to let things ride. It’s most definately a personal decision though, and each blogger will have to make the call himself. One way of easy moving comment is to use another browser, although that might not be for all. I used firefox for normal browsing and then IE for viewing the blog as a guest. It’s hard to police good comments, exactly b/c often the best ones are in direct disagreement with the original author’s opinion. Mutual respect is the key, above all else. I was wondering, how would you leave an editor’s comment on my blog? Whenever someone posts a comment on my blog, I don’t know how to leave an editor’s comment, knowing that it’s ME replying to them. Instead, I have to use “leave a comment” box at the very end of each comment page. How can you leave an editor’s comment? Personally I think editing to a point is ok, its just when the meaning of the original gets lost then its too far. Lorelle, do you think it’s a good idea to edit the comments to reply them? My friend always replies the comments by editing them. But I think it’s not appropriate to reply the comments that way. Please give me some suggestions. Are you asking if it is a good idea to insert the reply inside the comment instead of just replying in their own separate comment within the comment queue? NO. That is totally inappropriate, ugly, and not how it works. Each comment needs it’s own platform, so to speak, it’s stage. To reply to a comment, you can just reply as part of the conversation, or include the person’s name, in bold or even their name wrapped in a link to the comment you are replying to, as I’m doing here. Comment threading is available for WordPress blogs via WordPress Plugin, and there is always talk of adding that feature to the core of WordPress, but do not reply within the commenter’s comment box (editing the comment). It throws things off and it’s hard to tell who said what in that box. Thank you for your response to Johan. I have a Blogger blog and was wondering how/if I should answer comments by replying inside the same comment. Turns out it isn’t possible in Blogger, but your reply made me realize that it is something I probably shouldn’t even attempt. I really like your style and have been madly following your “related articles” links. Lots of good stuff here; so glad I found you! I just got one of the offensive comments on my blog. The thing is though, it wasn’t the comment that did it. It was the name, one of those ones like Bart Simpson uses on Moe where it says something else when you string everything together. Normally I like them, but not when it’s a sexual act that will also be displayed in my sidebar because of the recent comments widget. Anyway, the first thing I thought when I saw it was to come over here and see if you had an article like this one. Always glad to help, and I’m first in line to edit comment names, links, and comment content if it crosses my line in cement. Good for you for caring that much about your blog and your blog readers! I’ve a blog at blogspot. Could you tell me what’s my chance if I would like edit the comments? Sometimes I get a lot of comment spam with many URLs. Do you have any idea where can I get a cool script for the Blogger template? A comment editing icon in admin mode behind the trash icon would be perfect. If anybody has a great idea, write to me an E-mail. It is bad manner to ask for an email response, so sorry. It is your blog, you can edit comments however you want, however, I recommend that you look carefully to ensure those are not comment spam. For specifics on Google’s Blogger/Blogspot, check in with someone familiar with the program. I don’t use it. Thanks a lot Lorelle for providing detailed information to all of my queries on editing of blog comments. I was looking for such expert answers and am glad to find it here. How do u edit and delete comments? This blog didn’t have anything to do with editing and deleting comments! However, it seems your contact page just says to add comments to various places to contact you. So here is good as any. Thank you for pointing out the missed comment spam. Sometimes they slip through but I’m pretty diligent. Thanks for being an additional set of eyes. Hi there, I’m trying to find out which are the best/most used editorial/publishing conventions for editing comments and this post is the first relevant one I’ve found. I see you replace text with standard phrases in square brackets, I believe others use ellipsis, and I think deleting text visibly with a striketrough line may also be a good solution… I’ll keep on searching, but if you know of any source discussing this, please let me know. See How NOT to Comment on Comments for more tips on comments. Thank you for this comment etiquette. My blog is newer so I am trying to build a following and I think having comments are important to see to attract new readers… but where to draw the line is tricky. Good information – should be read by more people! Great article Lorelle. To be honest I didn’t know there was so much to “Commenting”. Always had difficulty understanding Trackbacks so enjoyed your perspective on this as well. It’s good you mentioned your preferences in terms of anchor text verses URL. Would be good if the standard comment boxes included this type of info. Some do but most don’t. Have only just discovered your blog Lorelle but enjoy your work. Nice article. Alot of helpful information here . I have a technical question, If you have a lot of comments , and you just want to sort through comments by each specific blog post how do you do this? All I see is total comments when I log in to my website. I want to just be able to edit comments per specific blog post. Edit the post in WordPress. If you have enabled Comments (Screen Options), you will see all the comments on that specific post. I edit the comments and manage them from the Comments Panel. If you want to deal with a specific post, edit the post. Thanks. I am new to the blogging world and was surprised to discover this was possible. This article answered all my questions regarding proper procedure when dealing with comments. Thank you, this was very helpful. Your intellectual contribution is appreciated. I run a weekly writing challenge on my blog where the comment section is the entry form and typically, if people make an error they contact me. Then I can make a quick fix in the edit comment section. BUT today I encountered a problem and was wondering if you knew the reason and how to fix. When I went to edit the comment today (just a simple return and space they neglected to add) for an individual, it reposted it had my Gravatar associated with all of their info. Do you know why this might have occurred or a possible fix? I need to be able to help my participants and make quick edits if requested without having to ask them to repost continually. Thanks for any help! That’s odd. That happened to me a very long time ago with WordPress.com and it was a glitch in the system. I reported it and it got fixed. It’s been many years since then and I’ve edited freely without that happening. The only time I would think it would happen is if the name and email was changed, but that would mean that you pasted in your email address as the gravatar is associated with that. The Gravatar displays based upon the email address in the comment form, not an edit in the comment form. Report it to WordPress.com. Do you have a “Howdy! How may we help?” at the bottom of your screen in WordPress.com WP-Admin? Click there or go to the WordPress.com forums. Good luck with it and let me know what you find out. Thanks so much for your response! Yeah those were all the things I troubleshot to no avail. Will let WordPress know. Thanks again. I just have to share this link with you. Lorelle VanFossen from the Lorelle on WordPress blog has just posted a great article on editing your blog comments.